King’s Superfine Grinding Technology Engineering Center (Jiangsu) (“KSGTE CENTER” hereafter) is officially launched in King’s Ceramics Grinding Technology Co., Ltd. (KING’S) on 11th Nov., 2017. KSGTE CENTER is the first provincial level technology engineering center dedicated in superfine grinding for mineral further processing, filling in the gap for this researching field in China. Taking this opportunity, KING’S will increase investment in superfine grinding projects in terms of researching facilities and technology, etc. as well as introducing cutting-edge superfine grinding technology from domestic and international scientific research institutions through cooperation. With years of experience on producing and applying ceramic media in superfine grinding field, KING’S will focus on research of value-added superfine grinding approaches for mineral further processing, in order to solve the long-standing problems of low recovery rate and lower grade for beneficiation of precious metals and refractory minerals. This consequent improvement on recovery rate and grade will provide scientific guidance for energy saving and environment conservation to mineral processing industry domestically and even internationally. Meanwhile, KING’S will aim at attracting and cultivating more innovative talents with the platform of KSGTE CENTER, as well as increasing technological achievements transferring rate to further enhance KING’S capability of innovation and core competiveness. 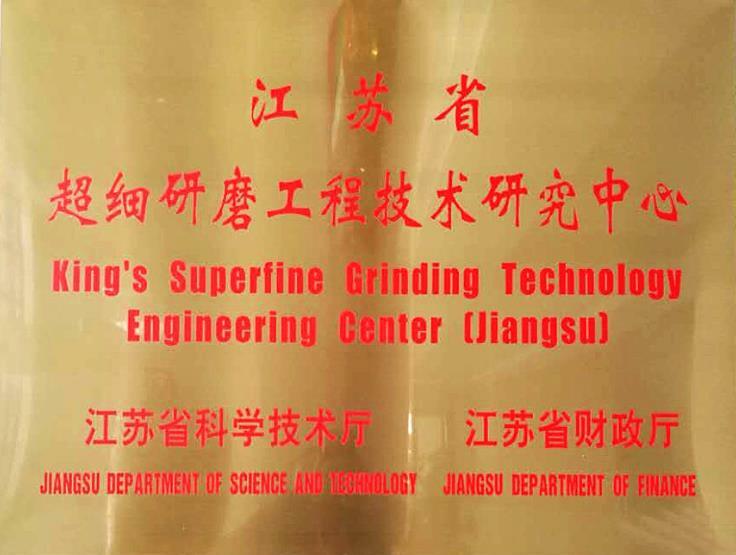 Mr. Junfu King, the general manager of KING’S, comments that, the establishment of KSGTE CENTER is not only the recognition of KING’S scientific and technological innovation capacity by the government and peers, but also high affirmation on KING’S contribution to superfine grinding technology engineering field in the past two decades.